Welcome, shape_shifter. You won't get slammed here. Have you considered a lever machine??? You'd certainly need to use one in the flesh first to decide if it's for you though. I can't remember though - where are you located? DB, we are definitely going to be trying machines out and listening to them 'in the flesh', never know we might find one that suits that isn't a rotary. Richard, I actually want a Lusso, I even have one of the roasters numbers up here to be able to go and try his out, but my OH wants to be able to make coffee when I'm not home and he doesn't want to use a lever, he just wants to press a button or two, I have to take that into account. Life has happened, was a Foreign Exchange Trader for many years, technology happened and found myself drifting to the motorcycle trade, due to a life long love affair with the things. Have been teaching people for around 12 years on a part time basis, the last couple full time. Teach novices through to stupid stuff at race tracks. In that interim period did a Bruce (Vinitasse) and lost wife 1.0 but after a while found wife 2.0. She grew up as a missionary kid and is an absolute pleasure to spend time with. 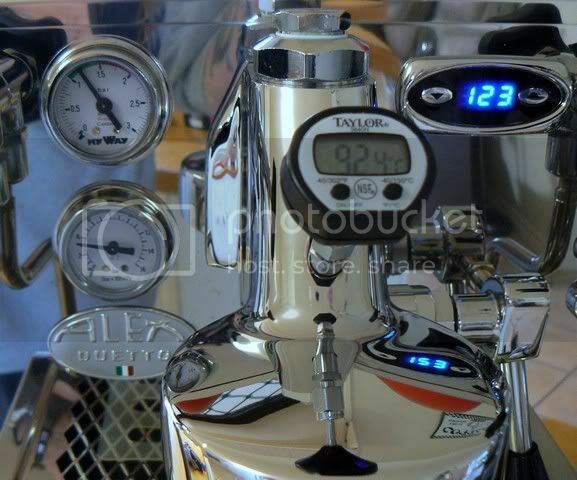 Coffee really happened for us around 2 to 3 years ago through a few friends with nice gear and a similar penchant. Have done the usual upgrade path, SB 6910 and 0480 (great learning ground), but eventually took the plunge and happily live with a VBM Domobar Super, Macap M4D, Scace 2, a couple of Behmors, Bread maker, Popper etc etc. Like others have claimed, we are here for the coffee, along with forthright, honest information that we can hopefully give, as well as receive. Well about time I spoke up. Opted for a different username this time to my CS presence (flynn_aus). I have more coffee prep equipment than time to use it but I have a preference for manual brewing methods these days - syphon, Clever Coffee Dripper and Aeropress whichever takes my fancy but mostly the CCD used at work. PS. I can not see ya avatar ?? Small or me going blind ? Been lurking for a while AM. Seen the lie of the land. Learned something new. My avatar is an Ethiopian woman which will do until I find something better. Unlike you, my preference is for African coffee - 'specially Ethiopian. Mind you, Central Americans are running a close second. Then again, I still have a fair bit of greens in my stash that I haven't tried yet. I was up in Qld last week but on a short stay with family commitments absorbing all my time so sorry, I didn't have the opportunity to catch up with any of you. 'Compelled' isn't necessarily passive AM but I think you get my gist. Morning and Welcome Rider, nice too know I have another bike rider here for support. G'Day hiphipharar/Flynn, good to see you over this way. It is time for me to say hi here. I have just gotten home from a family holiday in New Zealand and wow there has been lots of changes here in the time I have been away. I too came from the other site and have not been involved for a long time - it is nice to see many friendly "faces" here that I recognise. I look forward to continuing my journey here! Good to see you here, holiday in NZ sounds good. Oh No! The Rat Pack are reforming! Hi Gra... great to see you here as well as there. Looking forward to more than a few informative chats. No worries Bruce I am just sorting out my Computers at the moment ..
Only a matter of "Time Matt"
Must be time for another one AM. Seems my story is all to simmilar to others, searching for a better cup. Hottop (that died this morning mid roast ) Expobar Minore, Mazzer Kony E, Syphon, Chemex & other stuff. Upgradis is hitting me hard at the moment, paddle machines are looking good.